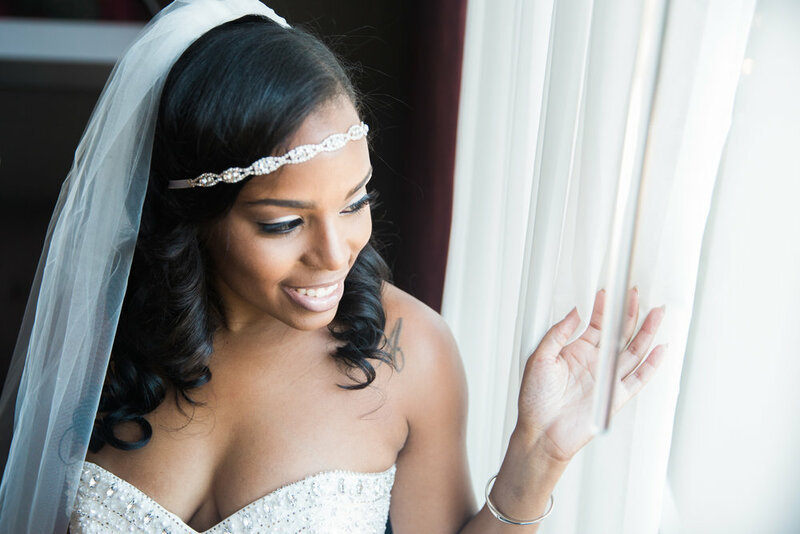 Alonna and Stephon’s wedding day embodied 3 words: Classic, Elegant and Alluring. 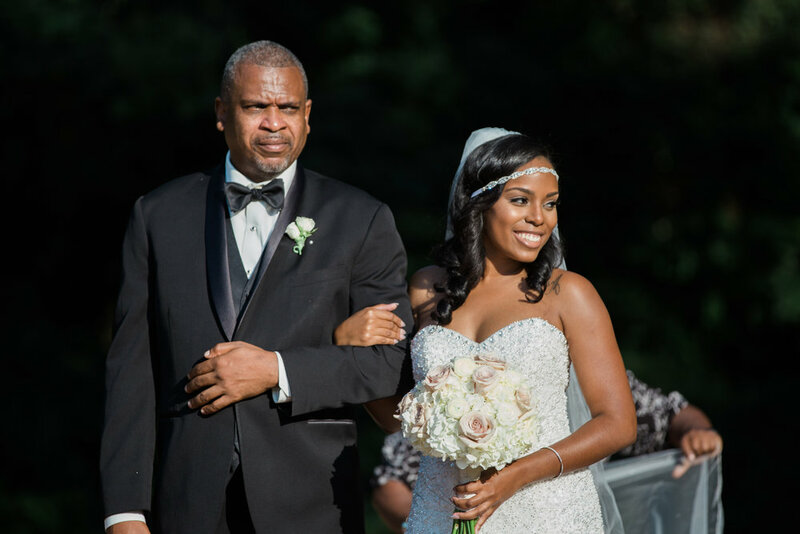 With a neutral color palette, this couple kept it simple yet timeless. It was truly a black tie event with the bridal party in all black Vera Wang Gowns and the groomsmen in complimentary black tuxedos. 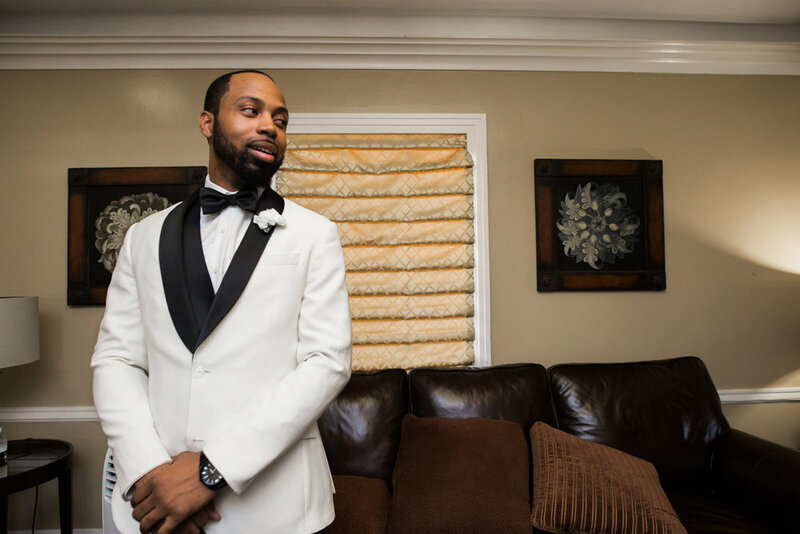 The bride wore a beaded, form fitting gown for the ceremony and the groom wore a white tuxedo jacket with black lapels and a black bow tie. 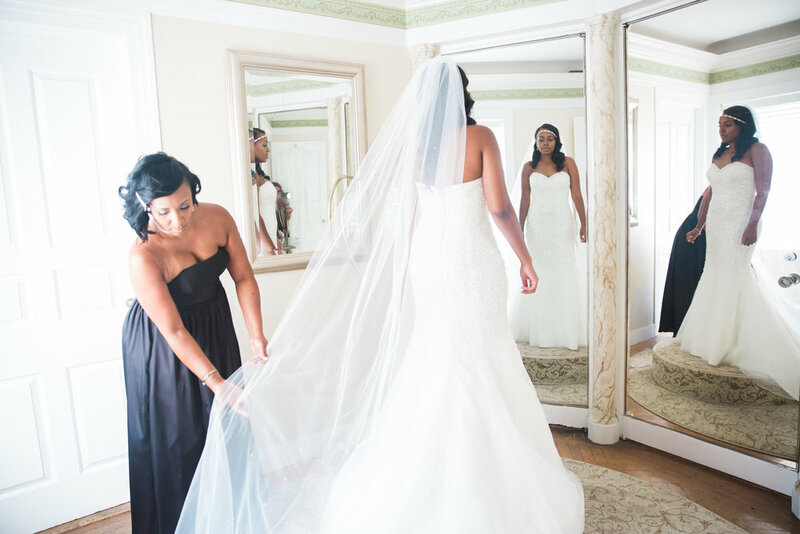 The Newton White Mansion was the perfect vintage setting for this contemporary couple and their guests. They said their vows on the brick patio and then headed indoors to party with their guests. 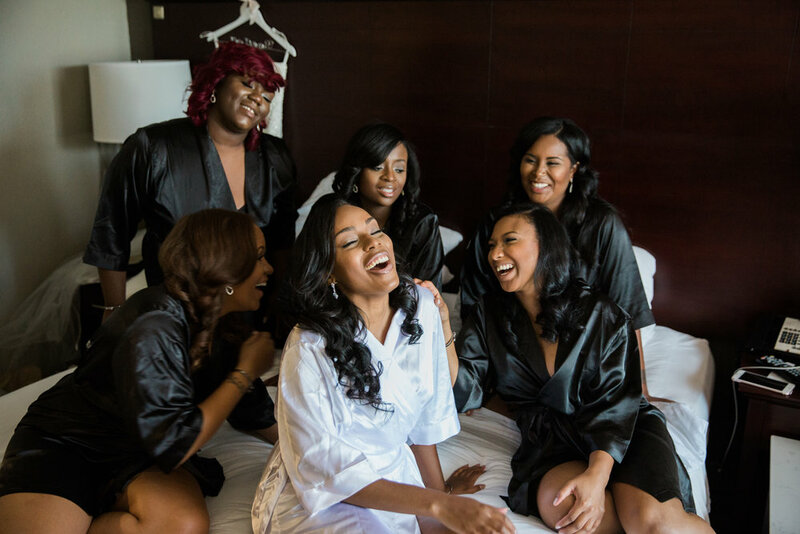 After the reception, the couple spent some time with their bridal party and some intimate moments for just the two of them. 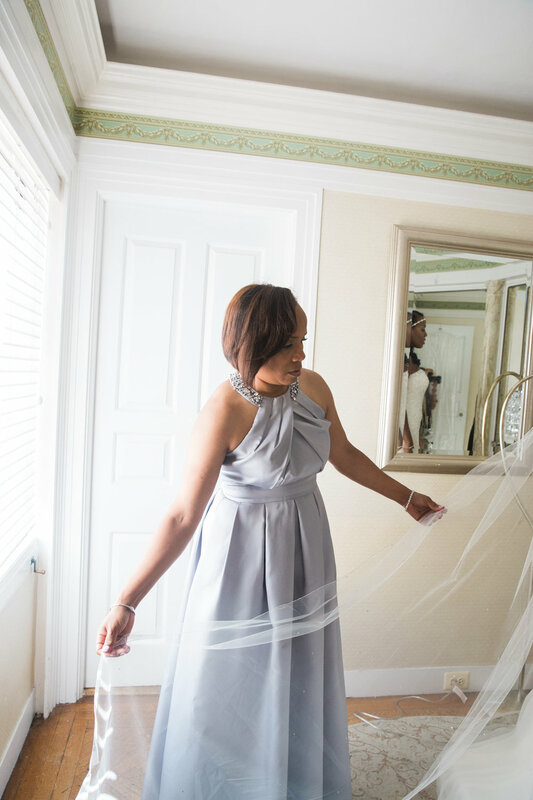 For the reception, Alonna changed into a sparkling gown and transformed the night into something magical. Guests had a great time with the couple and took plenty of photos in front of the floral wall to memorialize the night.